As I said in my last post, my first encounter with cranberry sauce was not so good. It was this red jiggly jello-ish thing from a can, and an idea of eating a fruit jiggly something with a turkey and all together otherwise savory dish was pretty gross. I ate one bite to please my future husband (day after we eloped to Vegas!) and I didn't like him much in that moment. He likes to make me try things I don't like. Over and over again. Like beer. I hate beer. I hate everything about it. And he always wants me to take just a sip. Why??? The worst is that calamata beer. It has tomato juice and clam juice mixed with beer. I hate all of those on its own, why in the world would I want to drink it mixed together? Why would anyone???? Oh well. Back to the sauce. After another year or two I was more used to sweet and savory combinations and decided to try making my own sauce. Which was good. Because since then I LOVE fruity stuff with meat and that was the Thanksgiving where I fully embraced yams too! Rest is history...I was eating maple syrup and peanut butter within months! I do not know the source of this recipe, it was given to me by a friend who said she wrote it down from somewhere at the internet. If you know where it originated from, please put the link in the comment so I can give them credits! 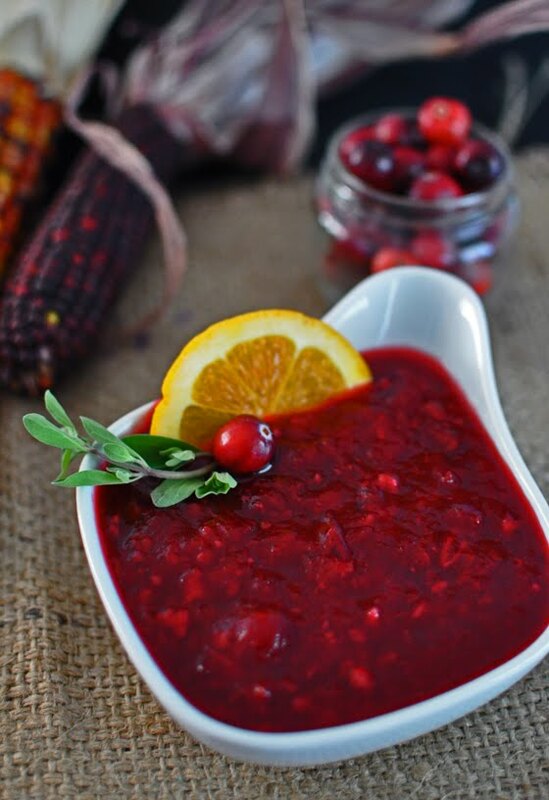 Put cranberries with sugar in a pot and add water, bring to boil, add the orange peel and juice and ginger. Cook until cranberries start to pop about 5 to 10 minutes. At this point I take my immersion blender and bland almost all the way through, I leave just a few halved or whole berries. Do whatever you like better, just a little blending, all the way, there is no right or wrong. Add the pecans and mix. Let it cool before serving. I make this the day before and refrigerate it until couple of hours before the meal. Then I take it out and let it come to room temperature before serving. 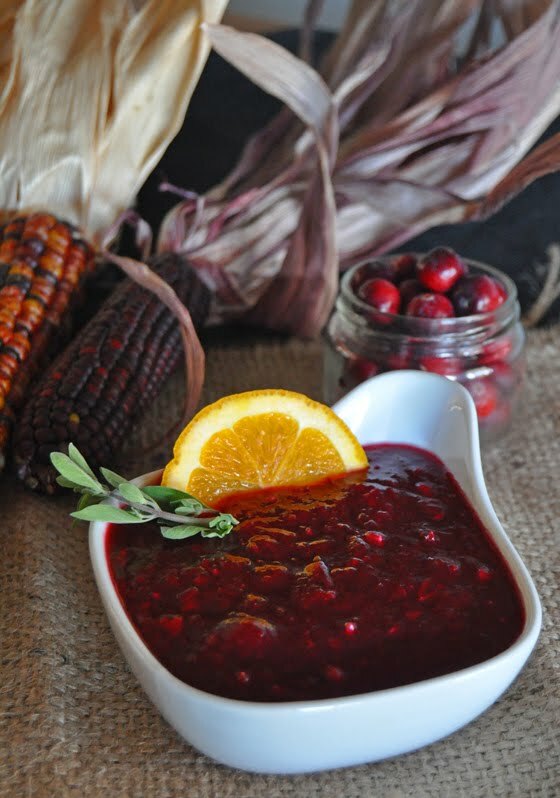 This is my favorite cranberry sauce I had since that year, wherever I tried one, I don't feel the need to try any other recipes, it is perfect, specially on leftover turkey sandwiches! Happy Thanksgiving everyone, I hope you get to enjoy it with your families! Thank you, I am pretty said that time of the year is ending so I wont use it anymore...but I am looking forward to Christmas stuff!